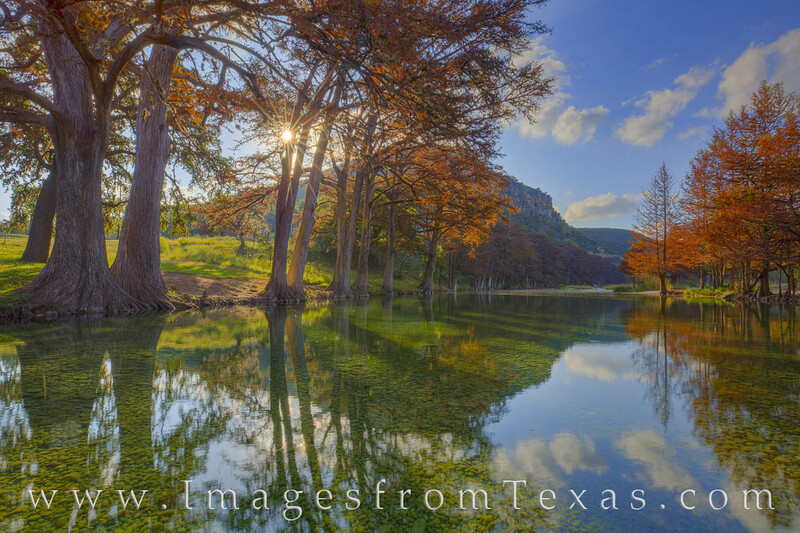 Very close to Garner State Park, this image of the Frio River shows the locally well-known Mount Baldy with the sun setting in the west. In the foreground, the river is a clear emerald green, and so inviting even on a mild November evening. Photo © copyright by Rob Greebon.